FRANKFURT (Reuters) -- A sharp fall in the pound following Britain's decision to leave the European Union will hurt UK customers buying auto parts from abroad and likely force suppliers to cut prices, the CEO executive of German autos supplier ZF said on Wednesday. ZF supplies automatic transmissions that are assembled at two different plants in Germany to UK-based automaker Jaguar Land Rover. "The things we supply them have become significantly more expensive for them to buy. This means that if the situation persists, we expect pressure on prices," Stefan Sommer said at a press conference to discuss ZF's progress integrating TRW Automotive. 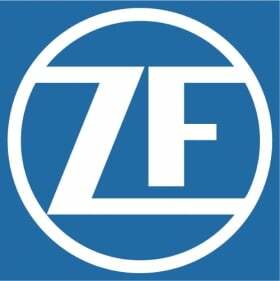 ZF paid $12.9 billion last year to acquire TRW, a move that boosted the combined companies to No. 5 in Automotive News Europe's ranking of the world's top 100 suppliers with sales of $29.5 billion. ZF alone ranked in ninth place in 2014. The pound has fallen about 13 percent against the U.S. dollar since the Brexit vote on June 23, hitting a 31-year low on Wednesday. It has also dropped to a three-year low against the euro. ZF does not have direct exposure to the pound since it sells products to customers priced either in dollars or euros, Sommer said.